well, in these paintings and prints at least! 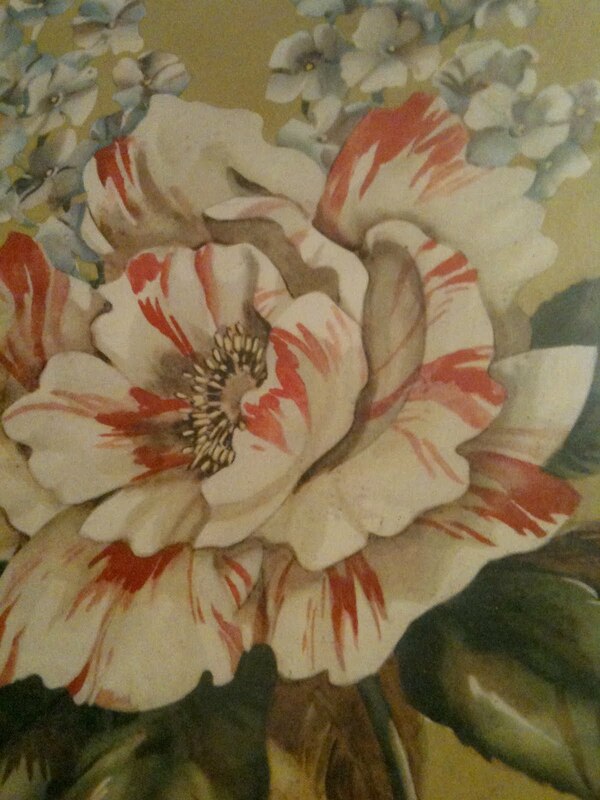 I am always keeping my eyes out for pretty vintage flower paintings and prints. I find some great ones at the thrift stores or flea markets. sometimes there will be one mixed in the bunch. Love them all, but old oil paintings are my favorite. or grouped together on a wall or shelf. in the paint from age are fantastic. 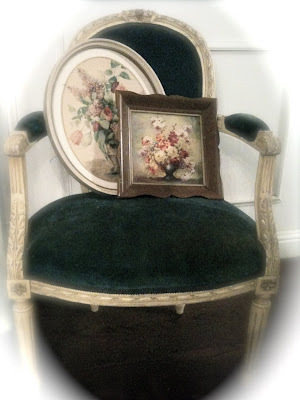 There is just something about the patina on an old oil painting. might brighten it up a bit. Just a quick post today~off to work on some projects! A very awesome way to anticipate spring! I need to go treasure hunting with you = ))) Happy Tuesday My Friend. 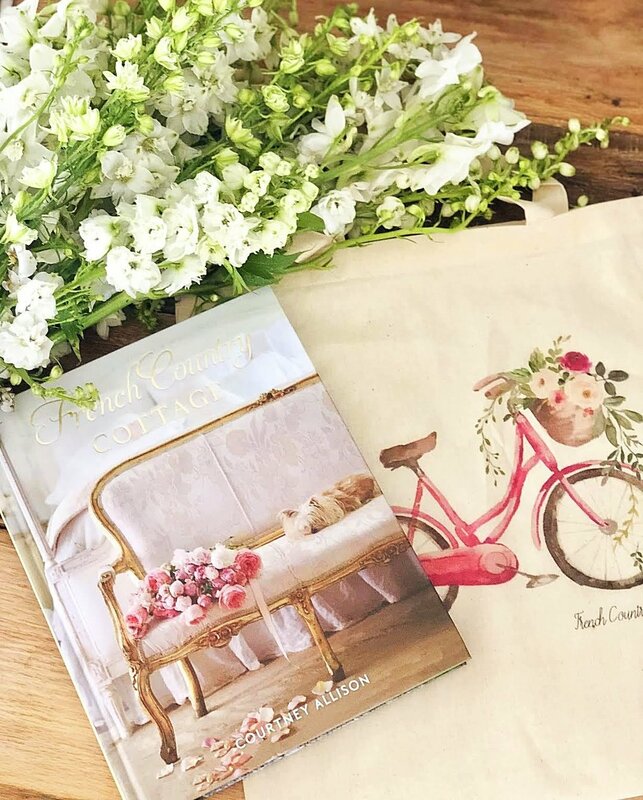 Your prints are so pretty...GREAT way to brighten up the indoors! The paintings are so pretty, Courtney. I love the reds in them!!! Gorgeous! I wish I could find great buys like that around here! I love those too! Really pretty. I have found a few as well on my travels but those ones are very special. Hi Courtney, You have collected some lovely vintage paintings. I especially like the last one and the pretty frame it is in. 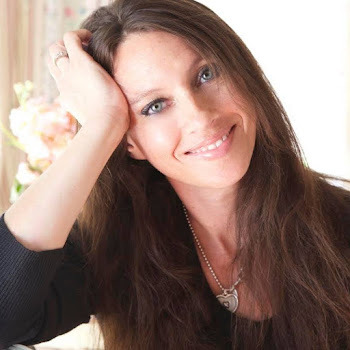 ps: Thanks for putting my party button on your sidebar! Wonderful paintings! 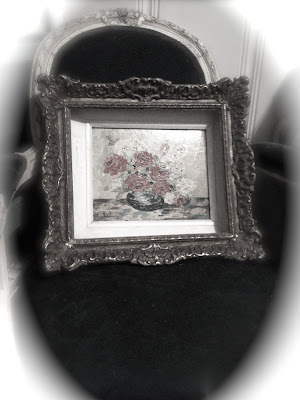 My grandmother use to paint flowers, but they have all disappeared.Your collection is fabulous. Have a wonderful evening! You have a beautiful collect. I love the little square on sitting on the chair. The frames are all so gorgeous! Great paintings, Courtney. What a great deal on the painting and frame. Thanks for joining WUW. Just beautiful Courtney! I can't believe that score! amazing! I was at an estate sale last weekend, and those frames were definitely not $10 at my spot! (not a thrift store either!) have fun with your purchases. I love your collection of art! You have a great eye! They are beautiful Courtney. I was thinking "There's just something about oil paintings, and there texture" and scrolled a few lines down and read almost the same words. They are beautiful.. seriously that price is fantastic.. What a wonderful find. It was cloudy and gloomy and sleepy here today, too! 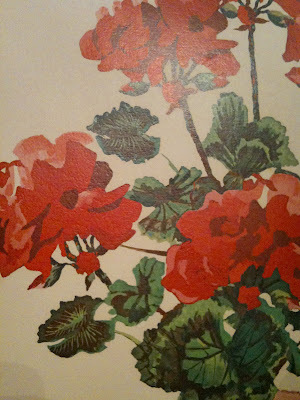 The paintings and prints made me smile especially the geraniums-yum. My favorite flower, in red, on the porch or deck, every year! 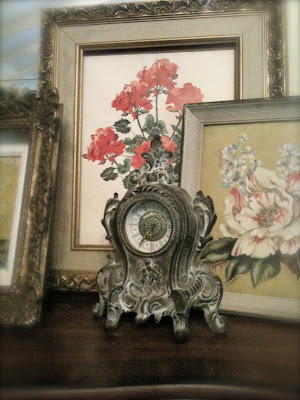 I must keep an eye out for more vintage florals! What a beautiful collection Courtney. I never see oil paintings anywhere, only prints. 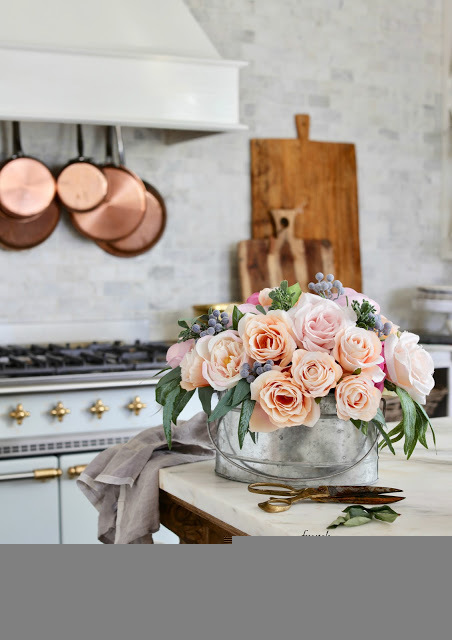 Hi Courtney, Love your vintage blooms! 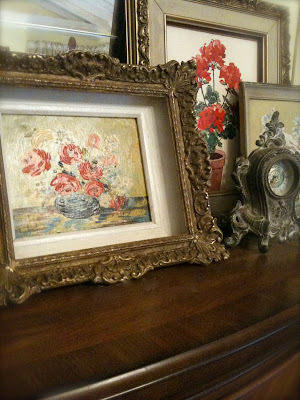 I love old floral prints and paintings. The pictures are beautiful but I also think the frames are great! LOVE those pictures Courtney..oils are my faves too. I cannot believe how dirt cheap you got the large one, for the painting and the frame! Gorgeouse frames on all too! 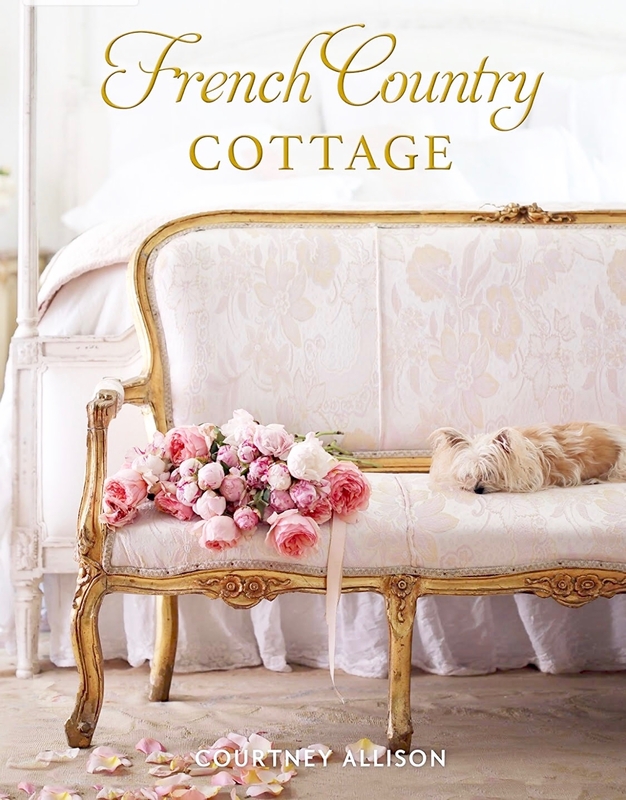 What a perfect post for my Swing into Spring party. Thanks so much for stopping by and linking up. Gorgeous pictures. Your 'flowers' certainly brightened my day! It's raining and gray here today as well. 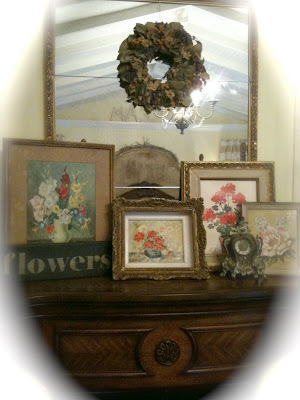 You have a lovely collection of vintage florals! I keep my eyes open for them as well! I have to agree, these flowers are in bloom and being in a painting or print they sure can melt the heart. All of yours are so beautiful..